High Court of Judicature Bombay Bench has released the recruitment notification on September 10, 2018 to the post of Clerk at www.bombayhighcourt.nic.in. Application Form for Bombay High Court Clerk Recruitment 2018 has been released on September 10, 2018 and the last date to apply for it is September 19, 2018. The total number of vacancy to the post of the clerk is 54. 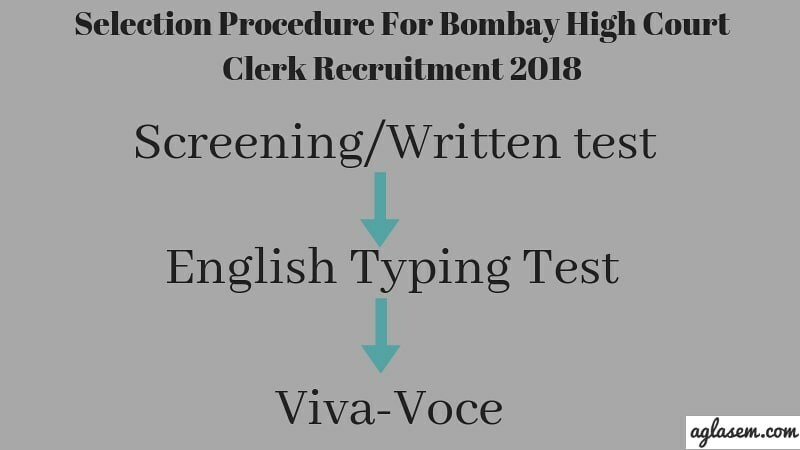 The Bombay High Court Clerk Recruitment 2018 will be done on the basis of the 3 test i.e.Screening / Written Test, English Typing Test, Viva­-voce. From this page, the candidate will get full information regarding Bombay High Court Clerk Recruitment 2018. Latest: Application Form for Bombay High Court Clerk Recruitment 2018 has been released, check the same from below. The candidate who will be shortlisted in the eligibility test will only take participation in the further recruitment process. For more information regarding Bombay High Court Clerk Recruitment 2018 see the below-mentioned schedule. Candidate should fill the application form before or till September 19, 2018. Candidate should fill the correct information in the application form. Should recheck the form before submitting the form because once the form has been submitted it will not be edited or recorrected. Candidates need to upload the recent passport size photograph and scanned signature. Candidates need to fill following details on the application form. Payment: Candidate can make the payment by using “SBI Collect”- An online payment gateway facility only into the account of Registrar, High Court Bench at Aurangabad. Application Fee will be Non-refundable. Before filling the application form candidate should read all the eligibility criteria because the candidate who will full fill all the eligibility criteria that will only be preferred for the further recruitment process. 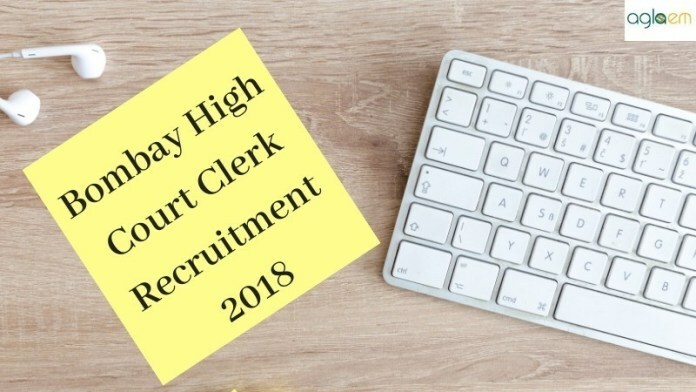 From below see the detailed Eligibility Criteria For Bombay High Court Clerk Recruitment 2018. Nationality: Candidate should hold Indian citizenship. Candidate should not be less than 18 years old. Applicant should not be more than 38 years of age for general category. Candidates belonging to Scheduled Caste, Scheduled Tribe, Other Backward Class or Special Backward Class should not be more than 43 years of age. Candidate should be graduate from the recognized institute or university (preference will be given to those candidates who holds a Degree in Law). Should have passed the Government Commercial Certificate Exam or equivalent, conducted by Burea of Government Exam, Maharashtra State or I.T.I. 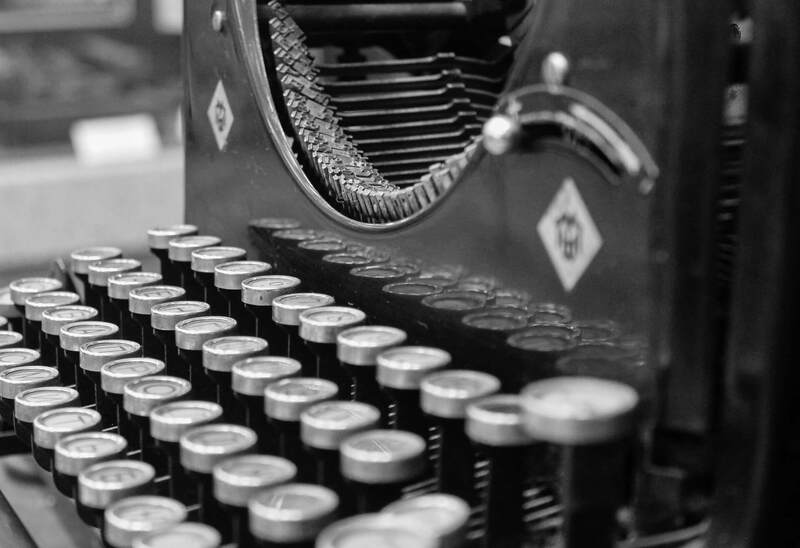 for English Typing Speed Test of 40 words per minute. Should have Computer Certificate about proficiency in operation of word processor in Linux Window, in additional to MS Office, MS Word, Wordstar 7 Open Office Org, obtained from any one of the following institute: Universities established under the Maharashtra Universities, Goa/Maharashtra State Board of Technical Education, NIC, DOEACC, APTECH, C­DAC, DATAPRO, NIIT, SSI, BOSTON, CEDIT, MS­CIT or from the recognized institute or university. Additional Knowledge: Candidate should know adequate knowledge of Marathi & Hindi Language. Admit Card/Call Letter will be released online at www.bombayhighcourt.nic.in. The Bombay High Court Clerk Admit Card 2018 will contain details of the candidate and exam, like- name, date, timing, an address of the exam center, a name of the exam etc. Candidate needs to bring the one valid ID proof (Pan Card, Adhar Card, Voter ID Card, Passport etc) and a hard copy of Admit Card on the day of the examination. Screening / Written Test: the candidate who will be shortlisted in the eligibility test will be called for the Screening / Written Test. English Typing Test: Candidate who will qualify the Screening / Written Test will be called for the English Typing Test. Viva­-voce: Candidate who will be called for the viva-voce they should bring their self-attested copies of the below-mentioned certificates/documents. E­receipt of Rs. 300/­ paid through “SBI Collect”. Mark sheet / Sanad / Degree and passing certificates of the qualifying examination. Certificate about prescribed knowledge in Computer operation. Certificate of needed speed ( issued by Bureau of Government Examinations). Original Character Certificates issued by two respectable persons, whose names are mentioned in the online application. Job seeker certificate, if an applicant has enrolled his/her name with the Local Employment Exchange. Candidate should know about the syllabus because this helps them at the time of preparation. Candidate can see the detailed Syllabus For Bombay High Court Clerk Recruitment 2018. Bombay High Court Clerk Answer Key 2018 will be released by the commission after the successful conduction of the written examination. Answer Key will be released on the official website i.e. www.bombayhighcourt.nic.in. Answer Key helps the candidates in predicting their marks. Candidate can only estimate the correct marks by following the marking scheme only. Selection Procedure will be based on the Eligibility, Screening/Written test, English Typing Test and Viva-voce. A candidate who will quality the eligibility test will be shortlisted for Screening/Written test. The applicant who qualifies the Written examination will be called for English Typing Test and the candidate who will qualify this test will be called for the final round i.e. Viva-voce. The candidate who will qualify the final round will be finally recruited. The separate result will be declared for each test at official website i.e. www.bombayhighcourt.nic.in. The result will be based on the performance of the candidates in each test. At first, the eligible candidate will be shortlisted. Secondly, the result for Screening/Written test will be declared. The candidate who will qualify the Screening/Written test for them English Typing Test will be conducted and after that result for that will be declared. The candidate will qualify the English Typing Test will be called for the final round and after conduction of final round, the final result will be declared by the conducting body. 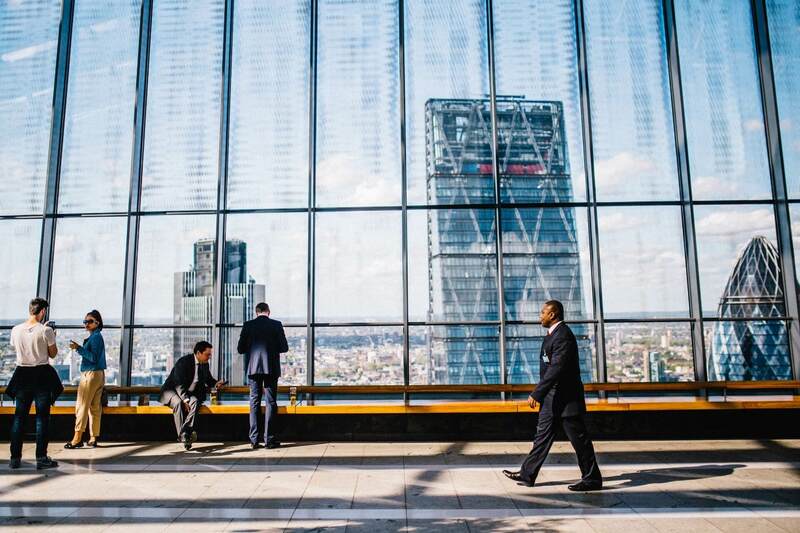 The salary for the recruited candidate to the post of the clerk will be in the pay band of Rs. 5200­20200 + Grade Pay 1900/- and other allowances as per the rules, on the establishment of High Court of Bombay, Bench at Aurangabad. For more information download advertisement for Bombay High Court Clerk 2018.